Without leaving our building, there are many opportunities for you to use your talents in the life of the church and to support mission projects outside our walls. Our church’s acolyte program for students in grades 4-8 is an opportunity for children to provide leadership in the worship service. Acolytes light the candles on the altar at the 9:30 AM and 11:00 AM Sunday worship services. Each acolyte typically assists at one worship service each month. This program provides Christmas gifts with the message of Jesus Christ to 350 children in our area who have a mom, dad, or both in prison. Volunteers assist with phone calls to determine gift needs, provide gifts, and help deliver to the prisoners’ families. Bread for the World is a nationwide citizens’ movement that for over 35 years has successfully sought justice for the world’s hungry people by lobbying our nation’s decision makers. Our church is known nationally for the support we give hunger legislation. Could we do better? Yes, with your help, we could. Do our letters work? You bet they do! Volunteer in our bookstore on Sunday mornings, selling and stocking books and merchandise. You, too, can prepare or serve communion! You need not be ordained to prepare communion elements or serve communion during worship. It only requires a respect for the sacrament and an interest to help when you can. Members of this ministry help potential, new, and at times “lost” members find their way through the numerous opportunities we offer. We welcome anyone with a passion for paving the way for everyone to feel at home and encouraging their participation in the life of the church. This group of professional nurses share their nursing and spiritual skills with members of our church who are in need. They provide monthly blood pressure checks, educational programs, and individual education on current health care issues. If you are a nurse who is interested in sharing your skills with those in need, this ministry is for you. Your smile, your handshake, and a warm hello are needed to welcome our worshipers each week as a greeter inside our building, opening doors outside our building, and as ushers at all of our services. We can help you become the welcoming arms of Christ! Hunger Ministry strives to increase awareness and provide relief for the problem of hunger in our local community and throughout the world. You can participate in this ministry by offering loose change, home baked goods, fresh produce and flowers, food donations, using your Kroger Card and supporting special Hunger Ministry events. On the first and third Sunday of each month, you can purchase fair trade products in Fellowship Hall following worship services. Fair trade organizations make sure the farmer gets a fair fraction of the price, and often helps them improve their farming and business methods. We have stories that need to be told! Do you enjoy taking photos and videos? Do you have a knack for editing videos? Do you love to talk with people and capture the many stories of the work we are doing in the community? We would love to have you as a part of our Volunteer Media Team. Our stories matter. Let’s tell them! You can support our mission work while honoring or remembering a person or event in your life by making a donation to light the Missions Candle on the altar. Your donation of at least $30 will go into our Partners in Mission fund, which supports local, national and international mission projects. Vocal and bell choirs for all ages, Praise Band and First Orchestra are just a few of the many music programs we offer. Do you have a passion for music? Come be a part of this amazing ministry. We collect clothing twice a year and send up to 24 boxes to help the children in Sneedville, TN. Many hands make light work. Please join us! Delicious, home-made pies and quiches are sold to support the Costa Rica Methodist Children’s Home and Henderson Settlement in Kentucky. When you purchase a pie, you help the children of these wonderful missions. Place your name on a list of volunteers to be called to help with funeral receptions and other special events at the church. Our Rummage Sales, sponsored by the United Methodist Women, support 30 mission projects. Seven-hundred-plus volunteers are needed to support the sale. From donating items, to sorting donations, to meal prep, set up and break down, there is a spot for you! We host the South Oakland Shelter for the homeless one week each summer. Volunteers are needed for set-up, break-down, meal prep, transportation, dinner hosting, etc. The spiritual formation of a child is nurtured through the partnership between parents and the church. Help build disciples of Jesus Christ by volunteering as a Sunday school teacher, helper or worship leader. 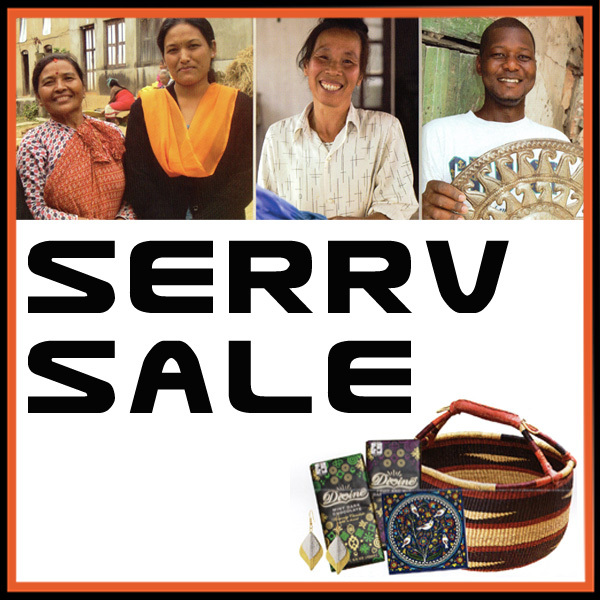 Volunteer to work at or Visit the SERRV Sale to shop for one-of-a-kind gifts made by artisans around the world. Get all your Christmas shopping done with one stop, or find a wonderful gift for yourself. Sunday, November 11 from 9:00 a.m. to 12:00 p.m. Teams are designated for each worship service and are scheduled to usher several months each year. 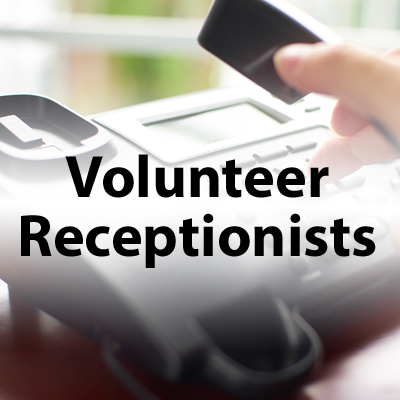 Add your name to the list of volunteers to be called when a receptionist is needed in the church office, Christian Life Center, or at the Welcome Center. Training provided. Our telephone ministry offers a weekly inspirational message to callers that is available 24 hours a day. Messages recorded by lay members provide hope encouragement and spiritual nourishment when it is needed. If you enjoy creating devotional messages, this ministry is for you.